Gretchen Barretto shut down bashers calling her kabit or “mistress” by owning it. Gretchen Barretto shut down bashers calling her kabit or “mistress” by owning it. In her Instagram Live last June 9, she said she’s happy with her current situation as she has been with business tycoon Tonyboy Cojuangco for more than two decades now. However, he is still legally married to his first wife Denise Yabut. 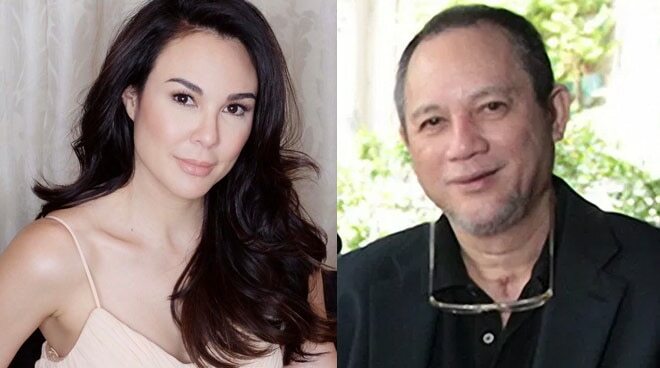 Gretchen confessed, “Sasabihin nilang kabit, aaminin ko for the past 23 or almost 24 years, opo, kabit po ako ni Tonyboy Cojuangco. I never denied it. If you threw that at me five years ago, maglulupasay po ako. Halos magpakamatay po ako sa sakit sa aking dibdib ‘pag tinatawag niyo akong kabit. But right now, after 23 lovely years with my Tonyboy, you can call me kabit and I will tell you, I am happily his kabit. I am happily his mistress,” she added. “Yes, it is true. Maybe I will never be married with him. Maybe he will never marry me. Maybe I will never have that dream to walk down the aisle and have that fabulous gown. But who cares? I have a very flawed life, a flawed relationship, but I’m happy." "It’s not perfect [but] he understands me fully, he loves me fully, and in his eyes, I can do no wrong. So who am I to complain? Life isn’t perfect. Hey, where we live right now, it’s not heaven, you know. And I’m not the only one who lives an imperfect life." Tonyboy and Gretchen have an only child, Dominique. In the same video, Gretchen with friends Mimi Que and Patty Pineda apologized for an issue where a video of them laughing over a message they received for their ‘acts of charity’ went viral. “We apologized po after laughing that night. This is between me, Patty Pineda, Mimi Que and JMula. Si JMula po ang nagpadala ng kanyang mga request at mga wishes. It was very rude I admit. It was inappropriate, very unladylike for us to behave that way. Sorry po 48 years old na po ako and I should be behaving my age. But sadyang immature pa din po ako and I am very sorry, I would like to make a public apology po. Although Joan Mula accepted our apology that very night,” Gretchen emphasized.